You just had your privacy fence installed over the weekend and your lawn maintenance company is coming Wednesday. You’re asking yourself the question, “How do I protect my fence?” The solution, recommended by fence professionals 9 out of 10 times is Fence Armor. If you’re on the fence about fence protection, look no further. 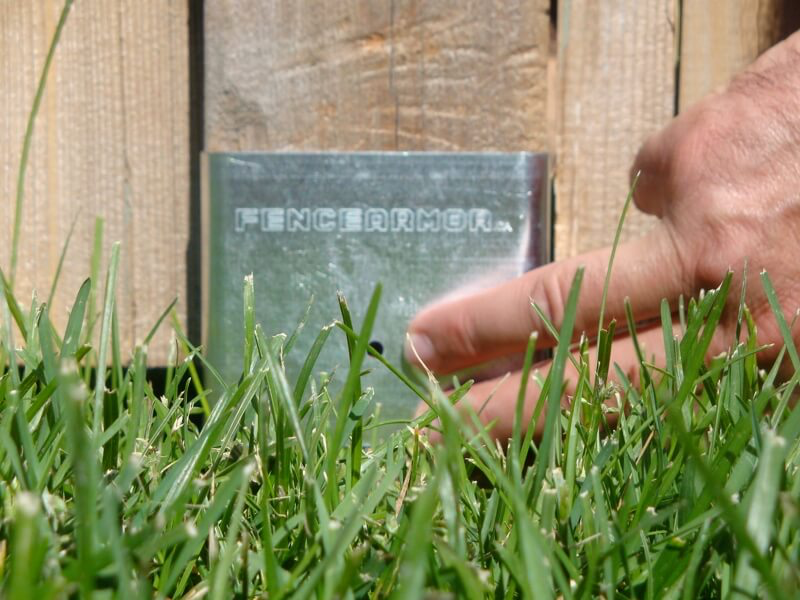 Fence protection has never been easier with Fence Armor’s patented protection plates. The are simply installed at the bottom of each post with two stainless steel fasteners. This is the easiest weekend project you will complete in your life! Fence Armor is strong, durable, American made and comes with a 60 month warranty on galvanized finishes. Don’t fear the lawn maintenance companies negligence with the weed trimmers, lawn mowers, or edgers again! What are the Benefits of Fence Armor? Once the post is damaged, the finish is permanently removed from the post and the posts integrity weakened. Thus diminishing the look of your fence. Whether you have vinyl fence, wood fence, ornamental fence, or chain link, Fence Armor has you covered. Fence Armor has made protecting your fence simple. Damaged fence posts are now a thing of the past. Installation is a snap! 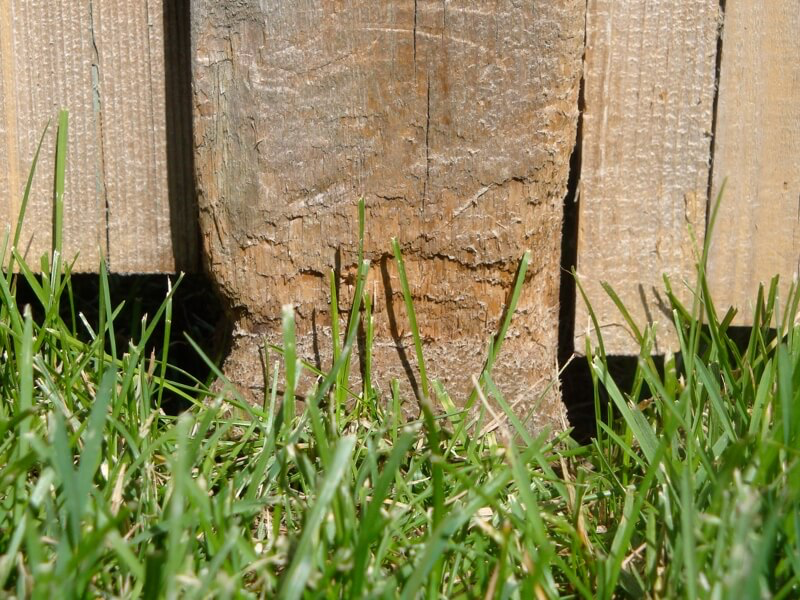 Weed trimmers, lawn mowers, and edgers permanently damage the post every time they come in contact with it. Fence Armor is extremely affordable and eliminates unnecessary post replacement prior to your products manufacture’s specified life span. Florida State Fence is the Authorized Dealer of Fence Armor within the State of Florida. Submit a request today for a free estimate. Your fence post are going to thank you! The Contact Us form should be used for site visitors to make contact with the business.